Star Wars Rebels: Spark of Rebellion is the debut episode of the first Star Wars animated series to debut on Disney XD since its parent company acquired the Lucasfilm franchise. Think of it as a Firefly take on characters populating the fringe of the Star Wars universe and you'll get an idea of what it feels like. The irony is that Joss Whedon's short-lived Firefly was itself a western outlaw take on the original Star Wars that focused on a Han Solo-like smuggler and the crew of his ship (a Millennium Falcon in all but name). 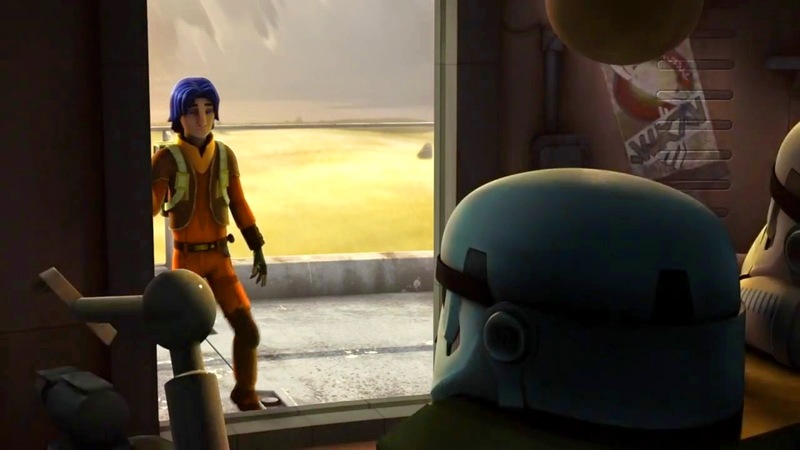 In Star Wars Rebels, young viewers are meant to identify with Ezra Bridger, a clever ruffian who scavenges his way through life on the Empire-occupied planet Lothal unaware that he has greater powers than he realizes. This soon changes as Ezra begins to develop a social conscience after falling in with a group of charitable mercenaries led by Kanan (Freddie Prinze, Jr.) on his ship the Ghost. 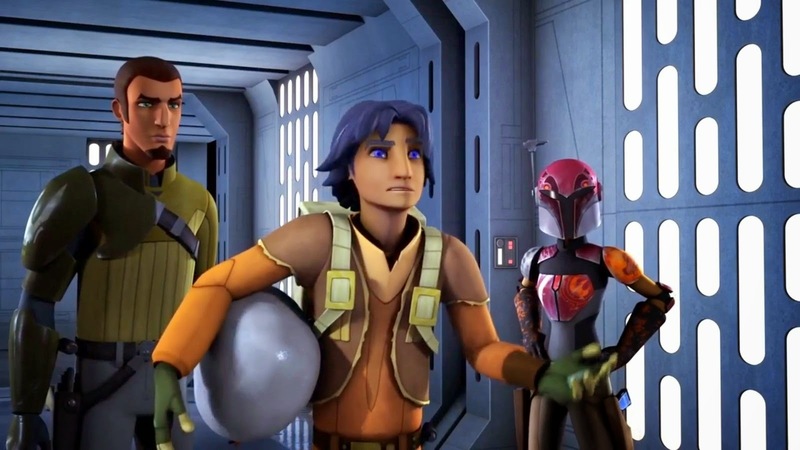 There Ezra starts to learn the satisfaction that comes with being selfless while a sense of awe secretly begins to dawn on him regarding Kanan and his compatriots: the combative, furry alien Zeb; the ship's green-skinned pilot Hera; an astromech droid named Chopper; and Ezra's big crush, the Mandalorian warrior Sabine (Tiya Sircar). Together they steal valuable shipments of food, medicine and supplies from an Imperial Security Agent Kallus (David Oyewolo) and his fearsome master, the Inquisitor (Jason Isaacs). Star Wars Rebels takes place between Star Wars Episodes III and IV, the demarcation point between the prequel and original trilogies. But these are all familiar tropes that already felt recycled in even the earliest Star Wars film, to say nothing of the way they feel in this project after being rehashed over and over through an additional number of layers justified as homages to its cinematic and TV antecedents. Surprisingly, Spark of Rebellion's visuals are even more uninspired, with many potentially exciting action scenes framed as flat tableaux that offer little in the way to punch up the requisite chase or fight scenes. 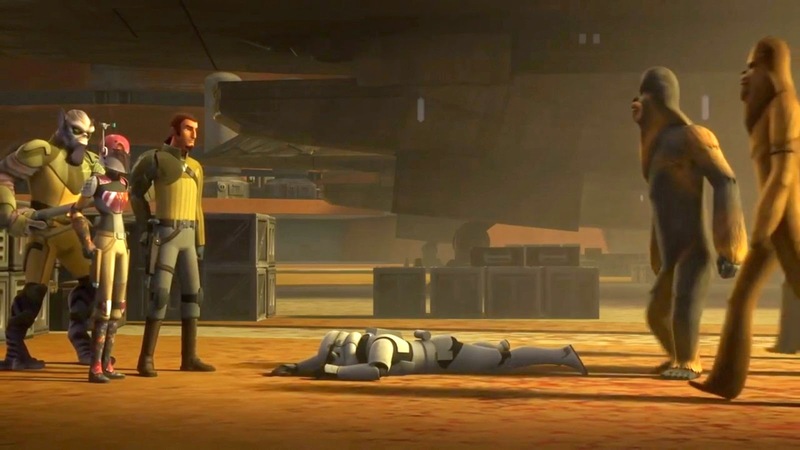 What does work, is Spark of Rebellion's unhurried contemplative pace, particularly in the serene moments after the revelation of a very special bond between Kanan and Ezra, a rarity for animated TV series aimed at tweens or teens. It's a refreshing quality that is great for building a show on and demonstrates that Star Wars Rebels possesses a glimmer of promise.